The first ever iPhone introduced a revolution of mobile phones with proper touchscreen interfaces and fast-forward to 10 years, we get the iPhone X. With this flagship, Apple introduced the TrueDepth Camera system to leverage the 3D sensing technology to provide new augmented reality (AR) features and multi-hovering experiences. However, the introduction of the iPhone X might have ended up providing the stepping stones for something greater because a new rumour dictates that the tech giant could introduce a brand new and revolutionary iOS interface that ships with the 2019 iPhone series. Korean media has reported through industry insiders, who have revealed that Apple will revolutionize the user interface with the introduction of new navigation methods that will be based on 3D-sensing cameras and air gestures. This has reportedly resulted in a frenzy, with Chinese OEMs rushing to replicate whatever they believe Apple is planning for 2019. This is probably the reason why the OPPO R17 Pro unexpectedly came with a time-of-flight 3D-sensing rear camera, with OPPO emphasizing that the ToF 3D camera can be utilized for AR and gesture navigation. Microsoft has also been working on something similar. 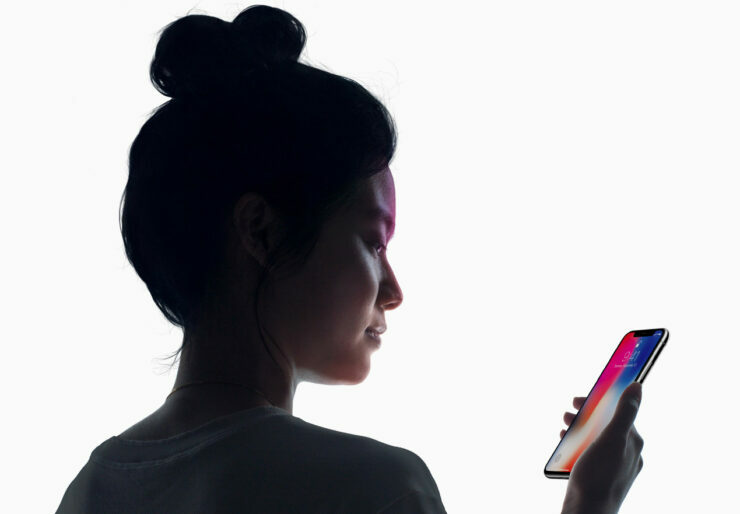 Previously, the iPhone X style notch which houses the Face ID set was also replicated by a lot of Chinese manufacturers but so far, only a minute number of manufacturers have actually incorporated their version of Face ID in their high-end smartphone offerings. Talks of a ToF rear camera on the back of 2019 iPhones are nothing new. Apple has reportedly achieved multi-finger hovering gesture recognition by increasing the sensitivity of the capacitive touch from 30mm to 50mm. This, paired with the AR/VR rear camera(s), will enable the ToF camera to manipulate scanned virtual objects without touching the screen. The AR experience will probably be powered by the triple-camera setup which Apple is rumoured to introduce with the 2019 iPhones. Various patents filed by Apple explain how a touchless, 3D-sensing interface can work. This depth mapping can also enhance the interactive video gaming experience by enabling players to interact with the game by making gestures. To achieve this, Apple is already working with PrimeSense, the company that introduced Kinect in order to introduce newer AR experiences and gesture controls. The distance-sensing screens of the 2019 iPhone can also eliminate the need for proximity sensors. To be honest, the possibilities are endless and the new breakthroughs can take the upcoming iOS experience to brand new levels. Perhaps the iPhone X might have ended up becoming the test bed that Apple wanted to witness what it could achieve with its on-screen gestures and 3D sensing camera solution. Do you agree as well? Tell us down in the comments.